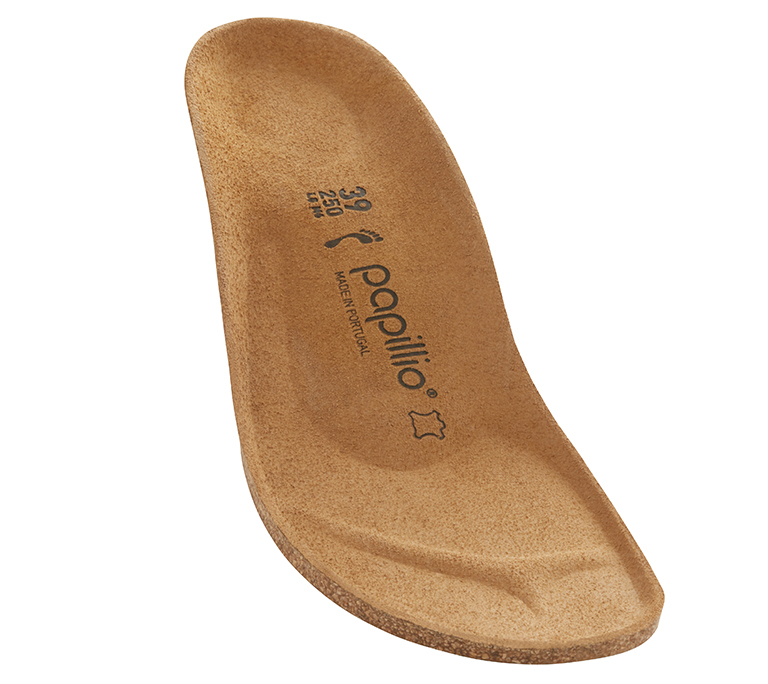 The Lola - a wedge sandal from Papillio with an ankle strap for added femininity. The contoured cork footbed provides signature comfort and support. Shown in nubuck leather.